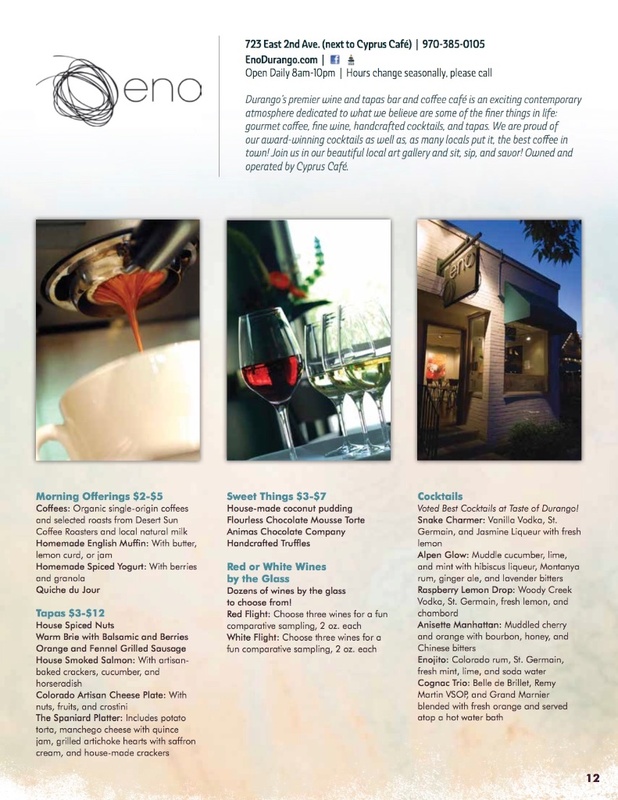 Durango's newest wine bar and coffee cafe dedicated to the finer things in life! Wine, Coffee, Cocktails, Tapas, and Art. Owned and operated by Cyprus Cafe. Come for breakfast, stay for cocktails! 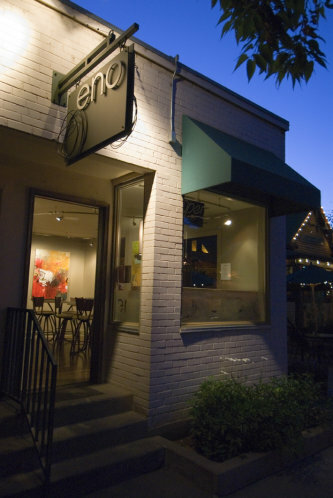 Located just across the patio from Cyprus Cafe on Second Avenue in Historic Downtown Durango, Eno offers the discriminating palate a taste of the finer things - fine wine, fine coffee, fine food, and fine art. Open all day and set in a comfortable and contemporary environment, Eno offers a respite from the demands of your day. Sit and enjoy fine art while sipping on a flight of wines from around the world or a handcrafted organic coffee drink and tasting from our tapas menu. Enjoy our wine map room and learn where the wines you are drinking herald from.